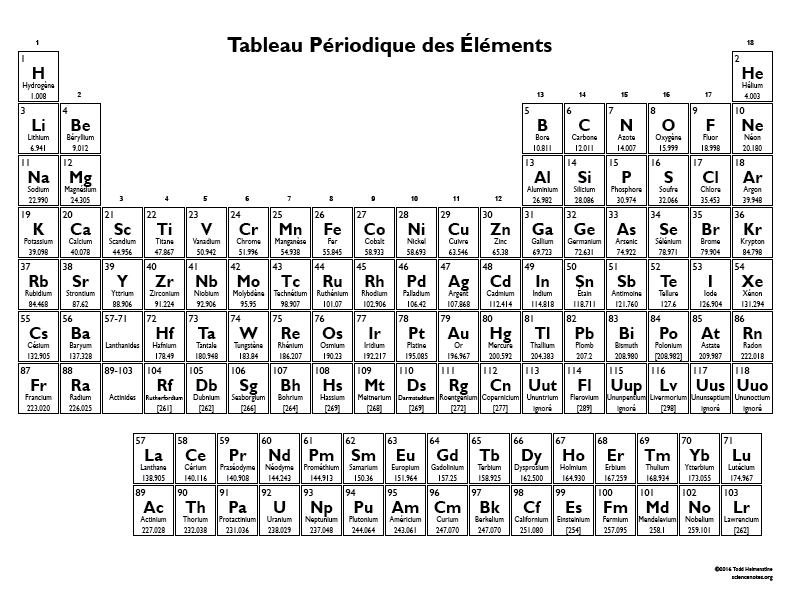 After a second look, you’ll notice this is a periodic table in French. Each element is represented by its number, element symbol, atomic mass and element name in French. This table is optimized to fit on a standard 8½” x 11″ sheet of paper and a PDF is available for download. If you have a color printer, there is a color version highlighting the element groups. Note: It’s been a long time since French class. If I’ve made any errors, please feel free to correct me in the comments section below. Thank you for making a French version. I appreciate the idea. ← What Is Trinitite or Alamogordo Glass?